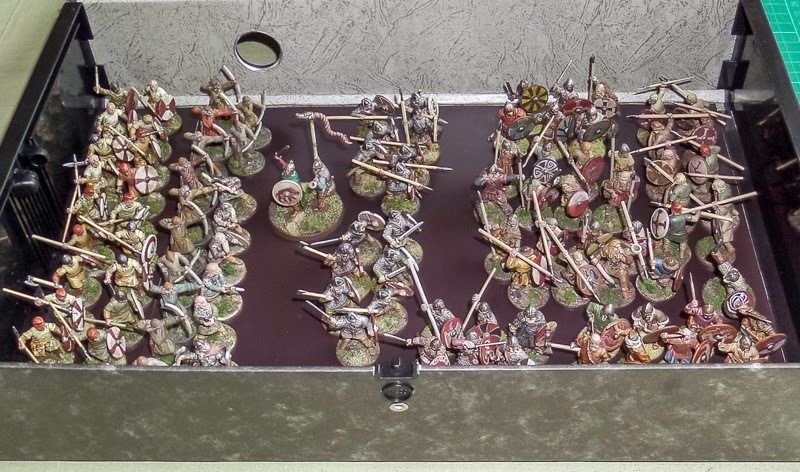 It's been a while since I painted a display figure, so the Avatars of War painting competition on the WAMP forum is the perfect opportunity to try out some new methods and ideas. I thought I would document it as I went along, it's nearly always useful to take notes. I usually prime white but wanted to try something new. Warlord Games have recently had some Bolt Action primers at half price and I bought a few, primarily for terrain projects, but I thought I might as well give them a try here. I sprayed from under the figure in a brown shade, from above with a yellow/ochre shade. When it was dry, I brushed on some white primer on the lighter bits and bones. I added a wash using Vallejo Model Air Burnt Umber. This stage is useful because it shows where all the shade areas are - it effectively adds the lines, guiding where the paints should go. 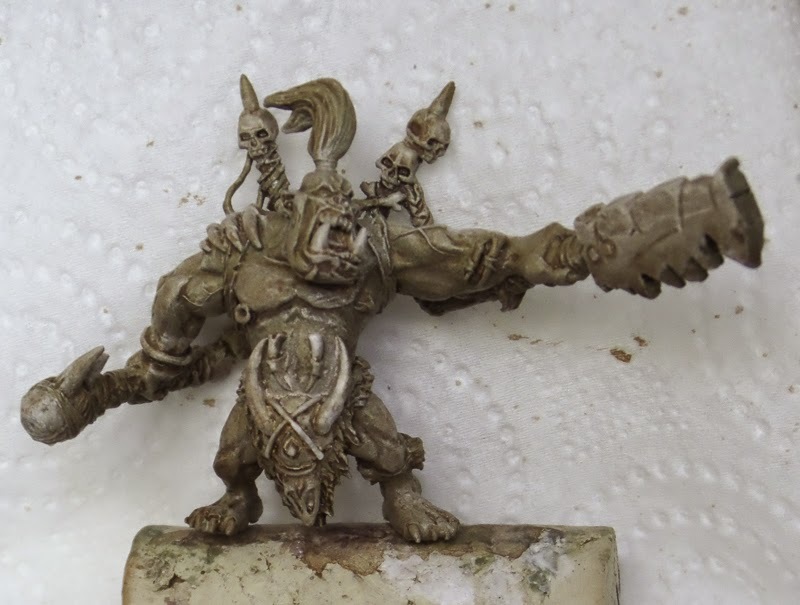 It's also useful because it shows any areas of preparation that are lax - any remaining mould lines or poor joins will show up here, allowing you to remedy them before painting begins. This last photo shows the figure when the wash has fully dried. This beats a completely black/white/grey blob don't you think? I can easily see which areas are in shade and which are lighter. I am hoping that when I come to paint it I will be able to apply thin coats of paint over the top of this, thin enough that the underlying light/shade will come through a little. That's the theory, we will have to see if it works out. Forth Eorlingas! These eight riders of Rohan are the first of many cavalry models I hope to paint up. I have always had a strangely irrational aversion to painting horses, so this time I set about devising a quick and painless method. I basically stuck with a base coat and wash, thinking it would look awful on the big areas of horse flesh, but it turned out quite reasonably. I added a few highlights and maybe a little stippling on the extra messy bits, but kept it minimal. 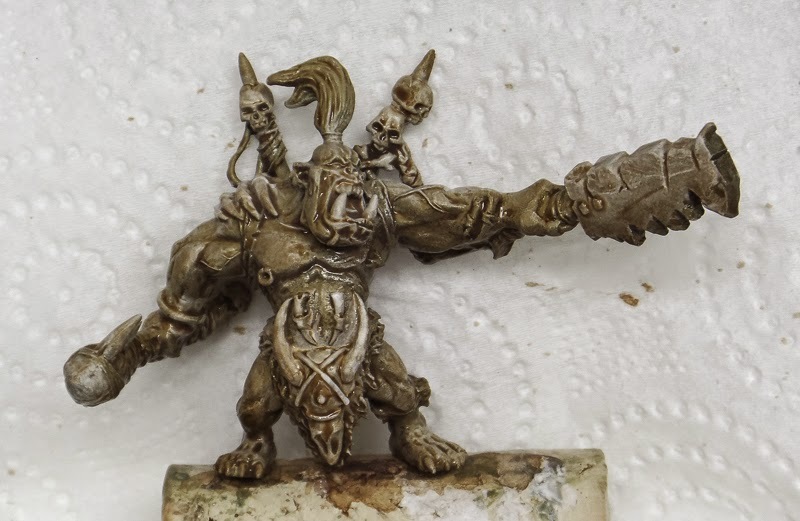 For the riders I followed the recipe I had already devised when painting the foot troops. With these two short cuts, I was able to complete them in a decent time span. 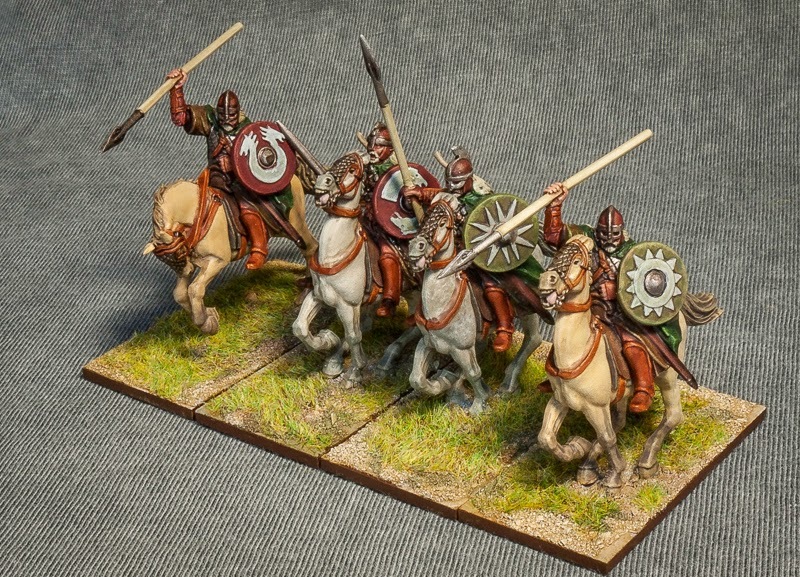 Fans of the range will note that one of the riders is a metal figure, a Rohan royal guard - he's the one with the tallest spear and most ornate helmet. I have a couple more of these, though they are all single pose and have the same shield, so they might not look that good in one regiment. A few conversions may be called for to build a distinct royal contingent. An interesting little factoid for you. When I was researching horse colours, I looked at my copy of The Two Towers to see if I could pick up any useful tips. The riders of Rohan are described as carrying spears of ash, with burnished (highly polished) coats of mail, riding horses with grey coats. That description does not really match the more grungy look they have in the film, but to me it sounded more elf like - pale horses and shiney armour always seems to suggest elves to my mind. Anyway, if I had followed that colour scheme, the regiment would look more like this. It certainly makes a difference when the horses have different coats. These 8 riders and previously painted 16 foot troops gives me enough troops to fight small skirmishes using the LotR strategy battle rules. 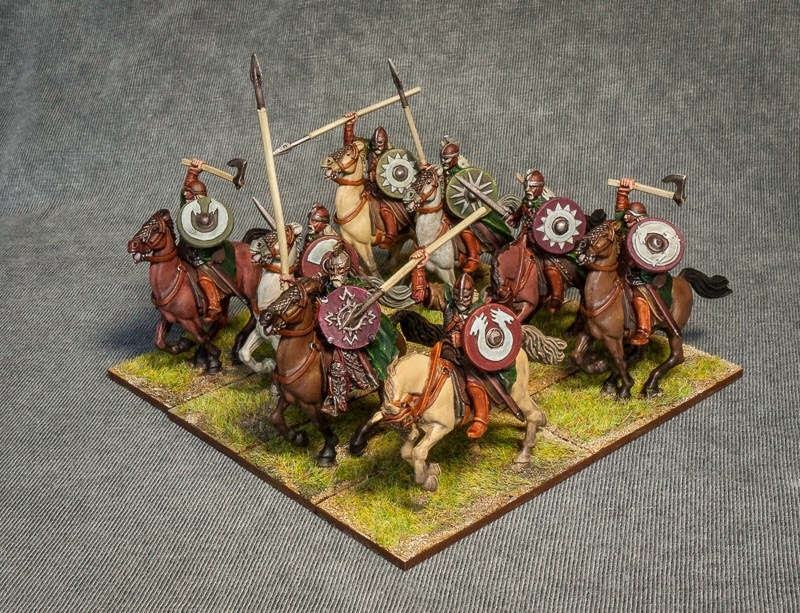 In Saga terms I could just about muster 4 points if I declared the cavalry to be elite units. In War of the Ring the two foot units are one company each, while the cavalry are a massive four companies. In the coming weeks I would like to add more cavalry, and a character or two to lead them into battle. Or I might just get distracted and paint up my small contingent of Durin's folk. 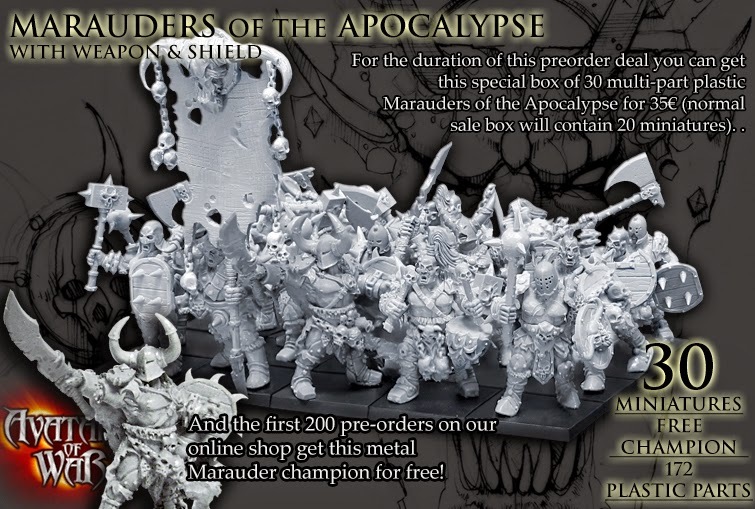 Avatars of War have announced a pre-order deal for plastic chaos marauders. Check out the full details on their website. I am a pretty big fan of Avatars of War and so may well get on board with this offer. However, a couple of things should be noted. The release date is February 2015, and the company is sadly often late with delivering, so be aware that it's buy now, receive next year. 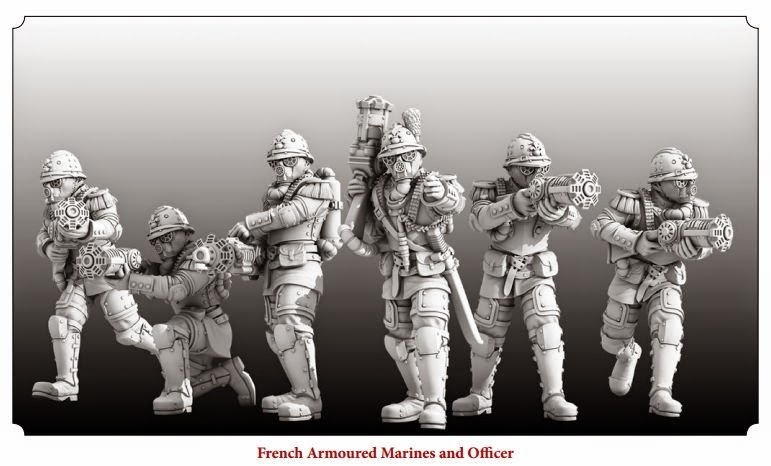 And secondly, the material these figures are made from is not the same as the GW plastic. It's a harder PVC material that takes a little bit more effort to clean up and prepare. I did a more thorough article about this when I reviewed their corrupters. Weighing this against the price and the aesthetic is something each hobbyist has to do themselves. If I was still a regular Warhammer player I would snap them up in a heartbeat. Now that I more of an ex-player who can't quite let go, I will probably wait until the new year and maybe pick them up from an indie trader when they are released. Has there ever been a better time to be in this hobby? New releases seem to have gone into overdrive in the past few weeks, it's almost impossible to keep up with all the developments. 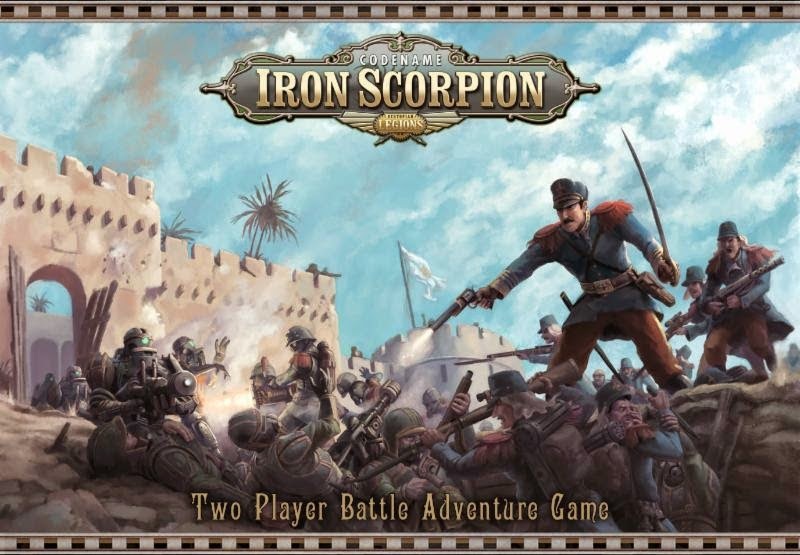 Hobby blogs and forums are frothing with news about Star Wars expansions and skirmish games, Infinity, Dropzone Commander, Bolt Action, and of course the return of Nagash. And that's just from the established big companies, there are dozens of new demands on your wallet all the time from kickstarter projects. Phew! We all have our own favourites, there is something out there for everyone. I have looked at Dystopian Legions by Spartan Games several times in the past couple of years. 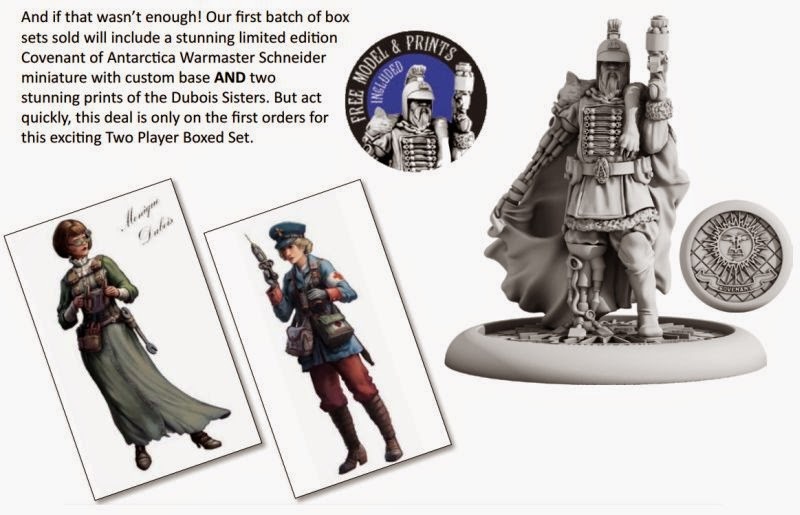 I tried to get my gaming buddy interested but he's more of a historical chap, so I always resisted, not much point in collecting an army if there's no one to play eh? But now I can resist no longer. 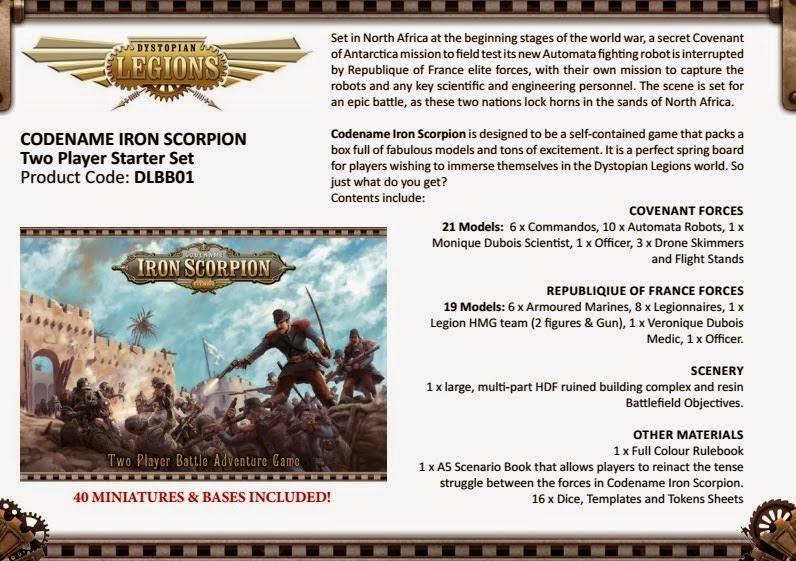 The newly announced Iron Scorpion starter set looks to be just my thing. Here's the official blurb and some renders. 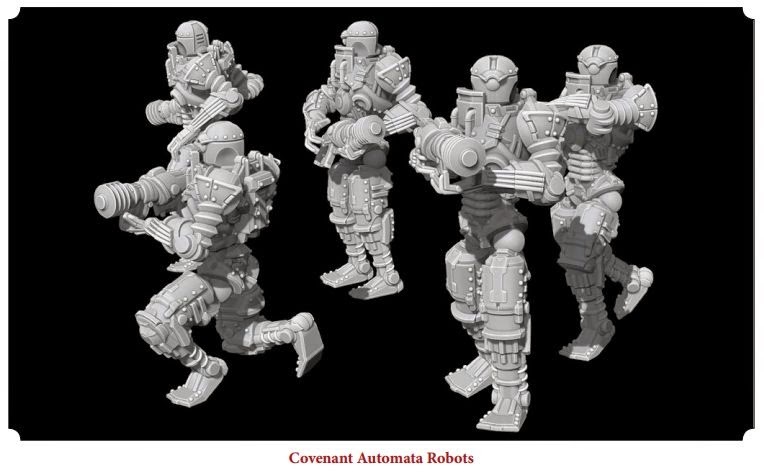 Spartan Games have a good record of faithfully reproducing in metal what they show, so I'm confident they will look pretty much as these images show. Metal is not my favourite medium, but it's a price I am willing to pay to get my hands on a good quantity of decent steampunk figures. The set is available for pre-order on the Spartan Games website. Some have complained that the price is high. 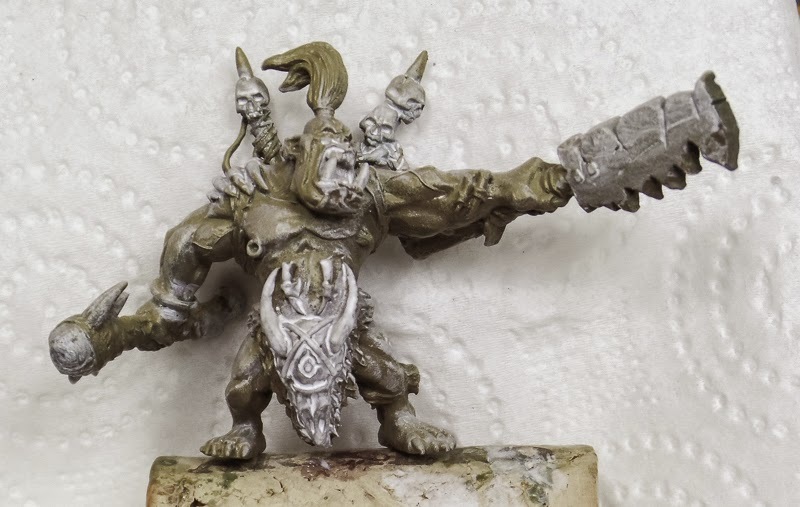 It retails at £90 plus postage, though you can also pick it up from Troll Trader with a discount and free postage, which brings the cost down to a shade over £80. That works out at about £2 a figure, with scenery, tokens and rules for free. That seems reasonable to me, cheaper than some systems and about the going rate for starter sets. September 24th cannot come around quickly enough! I have recently been looking into Victorian/Edwardian/Steampunk figures and fancy adding a few to my collection. There are so many to choose from, depending on what you include in the genre. I guess one way to approach it would be to decide on a game system and then buy the figures to fit. That's certainly very logical and probably what most people do. I often buy figures on a whim and fit them into a game later, and that's just what I intend to do with these little beauties. 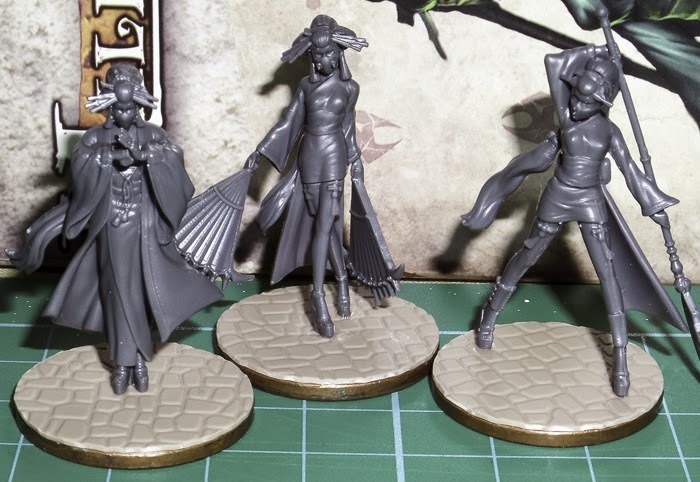 These are from the new Malifaux plastic range, the Oiran from the Ten Thunders faction (I think). I will probably just use them to build some kind of oriental faction or gang for any one of a number of games I have been considering. I might even use them in Malifaux games, who knows! The sculpts are very, very finely detailed, probably the smallest pieces I have ever built. I needed tweezers to assemble some of the bits. Mould lines were few and easy to scrape off with a knife. Assembly was good, all the bits fit snugly and with little need for filling gaps. I have based them on two pence coins, topped with plastic cobbles sheet. To paint them I have ordered some fine detail brushes from ebay. I use a number 2 or number 4 brush for most of my work, swapping to a number 1 for eyes, fine lines and the like. For these figures I have ordered a 0 as well as two new 1 and 2. If I could order new eyes I would, or maybe some ocular enhancing machinery would be appropriate. 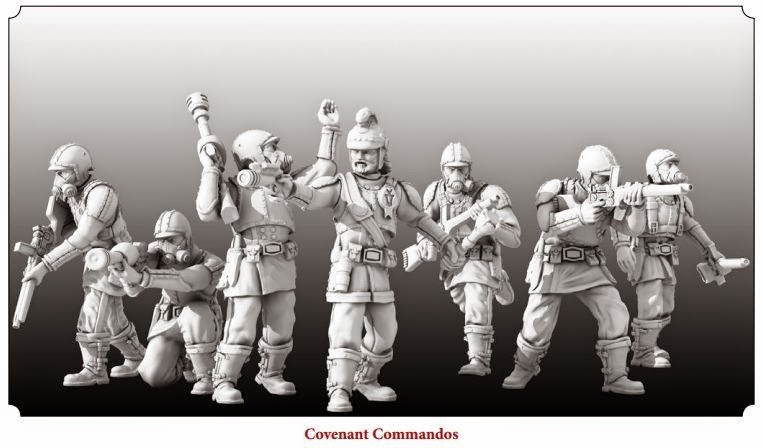 Still, I am looking forward to painting them and maybe developing a faction or two. Small acorns and all that. My complete collection of dark ages figures, all neatly organised in a box file. For the past year they have sat in a variety of places, including a shoe box and a pizza box! Now they have a nice new magnetic home. The box file cost me £4 from a local stationery supplier, while the magnetic sheet costs about £1 from ebay for an A4 sized sheet - this is one and a bit sheets in fact. Based on magnetic pennies, the figures are reasonably secure. If I tip the box up by 30 degrees there is no movement, but I doubt it would survive a complete upending. For storage and trips round to my mate's house for gaming, it's a good solution. There's about 100 figures in here, roughly half Viking and half Saxon, with a mix of plastics and metals. Still to be added are my Drabant viking archers, which remain unpainted for the time being. I could also double the number of Wargames Factory levy, but I won't because they are poor figures. I will probably use them as casualty markers, maybe as conversion fodder for zombies. 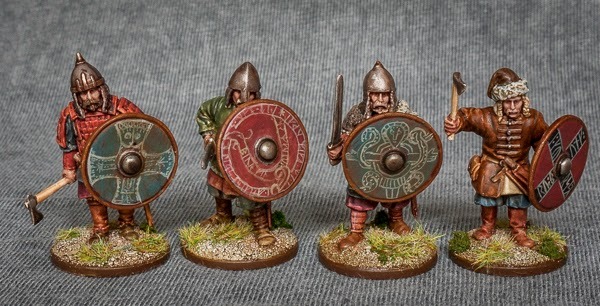 I also have plenty of Gripping Beast plastic Saxons I could build, which might get done one day. But at the moment this gives me enough for two six point Saga forces, or two Dux Britanniarum starter armies, which is all I need. 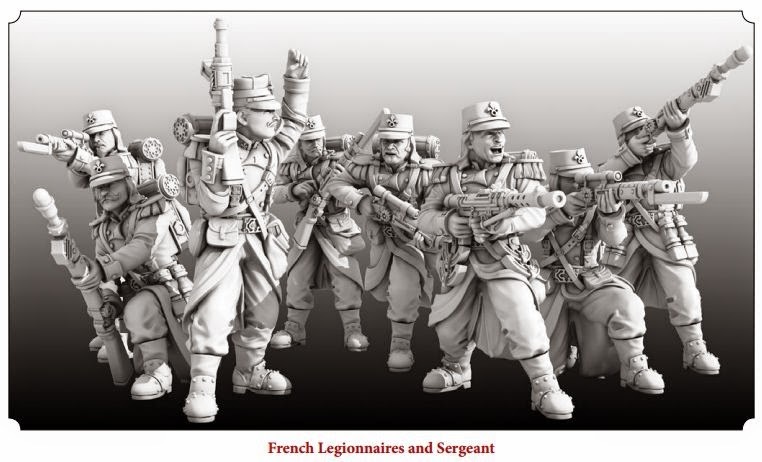 They will probably also be fielded en masse in Hail Caesar games, when we finally get round to it. There's something very satisfying about looking at a set of figures you have worked on, knowing they are ticked off your to do list. 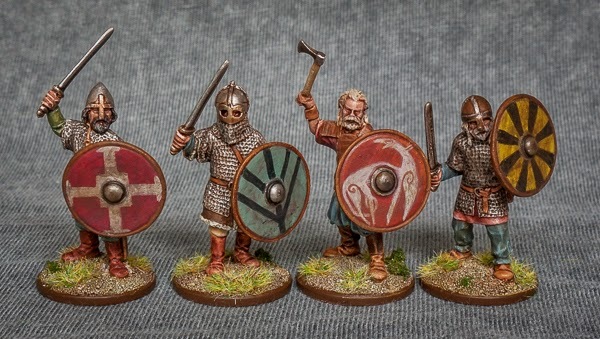 The first batch of Drabant Miniatures vikings painted and ready for battle. Regular readers will remember that I have struggled to find decent quality vikings for my collection, but I am happy with these. As with most dark ages figures, the shields are the centre of attention, and these shields are bigger than most. I had a lot of blank canvas to play with and took advantage of this on some of them. 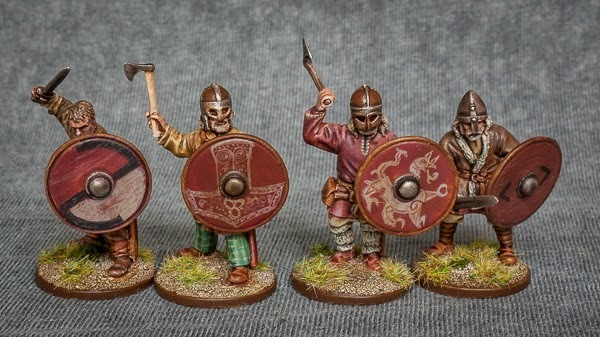 Inspiration came from several sources - the Vikings TV series, photos of carved stones, and a simplified version of religious iconography on the Russ figures. I did also put more effort into the clothing, with details added to hems and collars, but did anybody actually notice that? Here are more photos for closer inspection, and here's the original shots of the product from the manufacturer's website for comparison. For anybody looking for vikings that tend toward the more realistic end of the spectrum, I would recommend them.